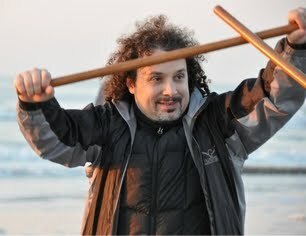 Nikolay Shustov started Aikido training in 2000, in Goshinkan Aikido Dojo under Josh Nathan Sensei. After Goshinkan Dojo was closed, for 3 years Nikolay was striving to find place where he would be able to continue consistent Aikido training. Eventually, with blessing of Utada Kancho, Nikolay has undertaken the task of establishing Boston Doshin Aiki Dojo in Boston, MA. Since the opening of dojo in June 2015, along with enjoying learning Aikido from Doshin Aiki Dojo instructors, Nikolay provides the logistics for the dojo operations as well as helps teaching the beginners. Besides Aikido, Nikolay holds USPA AFF Skydiving Coach rating and enjoys flying his wingsuite. Nikolay Shustov currently holds the rank of 1st Kyu from the Aikido Association of North America. 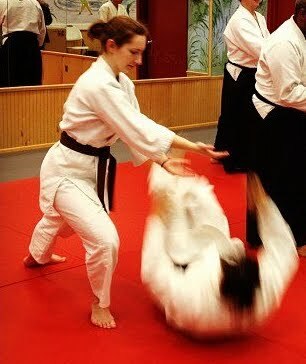 Cathryn Fassbender began studying Aikido in 2009 at Temple University under Utada Kancho. She joined the Honbu Dojo in Philadelphia and received her first (Sho-dan) and second degree (Ni-dan) black belts from Utada Kancho while training there. Cathryn has participated in Doshinkan Aikido International demonstrations, demoed annually at the Philadelphia Japanese Cherry Blossom Festival, and taught both adults and children aikido in Philadelphia. Her love for aikido stems from the body-mind-spirit connection and the fostering of discipline and focus in the martial art. Outside of Aikido, Cathryn teaches at Brookline Music School and enjoys backpacking and camping. Canthryn Fassbender currently holds the rank of Ni-dan (2nd Degree) from the Aikido Association of North America. 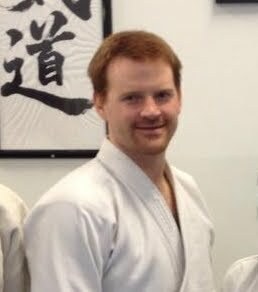 Brian Cole started Aikido training under Utada Kancho in 2000 teaching the accredited Aikido class at Temple University, PA for nine semesters whilst living at the Doshinkan Honbu Dojo. Brian ran the Santa Fe Doshinkan Aikido Dojo in Santa Fe, NM before relocating back to the east coast. Outside of Aikido Brian works in the Scientific Software industry and enjoys spending time with his family on outdoor activities. Brian Cole currently holds the rank of San-dan (3rd Degree) from the Aikido Association of North America.